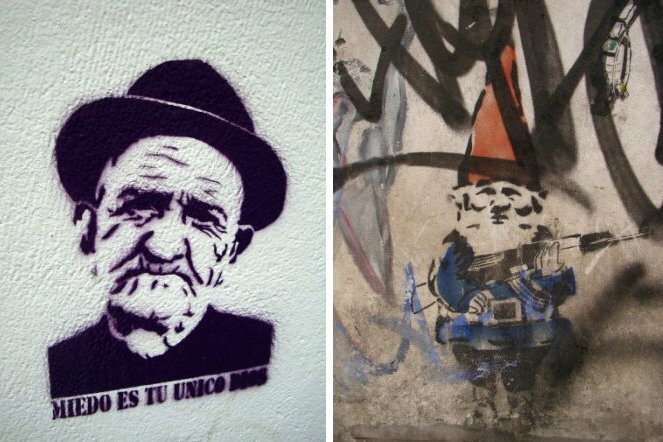 Some more stencil graffiti from Buenos Aires including images of the Mona Lisa, Audrey Hepburn, Freddy Krueger, (Fear is your only God), Clint Eastwood as Dirty Harry, a Maneki Neko cat, and the Mad Hatter from Alice in Wonderland. Featured artists include Cucusita, Vomito Attack and Bs. As. Stencil. 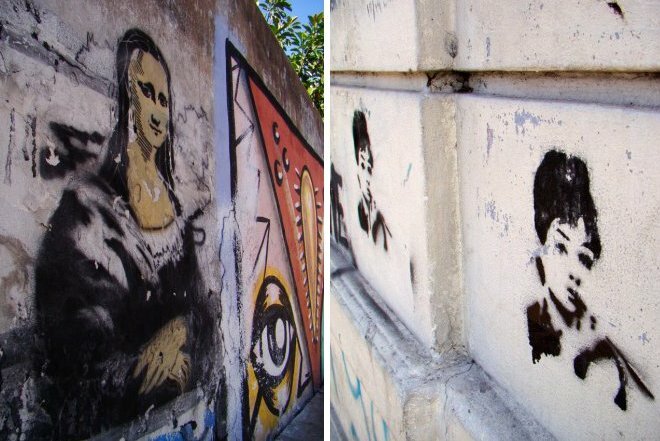 This entry was posted by admin in News and tagged Audrey Hepburn, Buenos Aires stencil graffiti, Buenos Aires stencils, cats, Clint Eastwood, Freddy Krueger, mona lisa, stencil graffiti, stencils.